Pioneers in the industry, we offer pharmaceutical incubator, platelet incubator and agitator, bod incubator and bacteriological incubator from India. 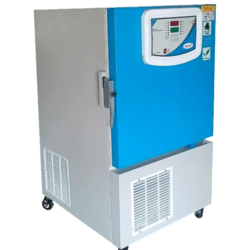 This Pharmaceutical Incubator is used for the purpose of growing and maintaining several micro-organisms and cells as this product can artificially create an environment that is highly suitable for the growth and sustainability of these. This product is highly demanded in the market owing to its quality and highly reasonable price. Being one of the leading manufacturers of this product, we never compromise upon the quality and thus, we send this product through a number of quality checks. Temperature range from -5 degree to 100°C with micro controller based temperature controller includes digital temperature display of set value and process value. 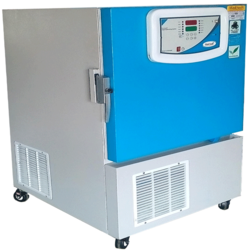 Manufactured using high quality raw materials and modern technology Platelet Incubator and Agitator is known for its high level of efficiency. The product finds application in several research centers and clinics for the purpose of providing accurate and stable storage conditions. The product has a sturdy and durable construction. Owing to its performance, quality, and pricing, this product is highly demanded in the market. Volume 170 liters 290 liters 350 liters 450 liters 600 liters 1000 liters. 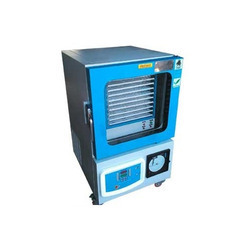 This Bacteriological Incubator manufactured by us is used for the purpose of growing and maintaining several microbiological organisms and bacteria. Manufactured under the supervision of several trained professionals, using high quality raw materials and advanced technology, this product has a strong and durable body. This incubator finds application in several research centers and biology schools. Owing to its quality and reasonable pricing, this product is one of the primary preferences of the customers. 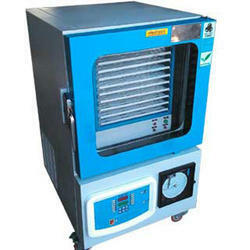 Incubators are sturdy, with double walled construction with complete inner chamber made of Stainless Steel. Outer chamber is made of Mild Steel Sheet, finished with powder coated paint. 75 mm gap between the walls is filled with special grade glass wool for proper insulation and to avoid heat losses. Inner chamber fabricated with ribs for adjusting shelves to convenient height. Supplied with 2 or 3 removable shelves. Shelves are made od Stainless Steel Sheet as per chamber. Door is insulated & fitted with heavy hinges. Door has Double glass window which facilitate inspection of samples without opening the door. Heating elements is made of high grade imported nichrome wire are put inside the porcelain beads and placed at the bottom and side ribs for uniform temperature all over the space. Temperature is controlled by imported capillary type thermostat from ambient to 80°C. Temperature control knob is graduated in centigrade degrees after actually observing the temperature in steady state. An L-shaped prismatic glass Thermometer is fitted on top of the Incubator for reading the chamber temperature.